Our training isn't based strictly on X's and O's, or a rigid “course of studies”. 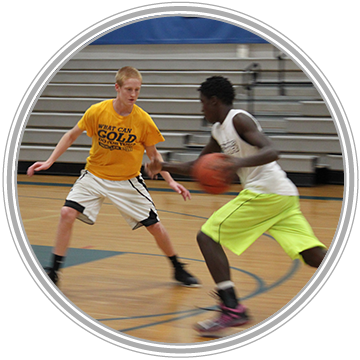 Naturally we provide our student-athletes plenty of drills for expanding their skill levels and game IQ. Our process is based more on how to best teach each player in our program -- a truly individualized focus on what they NEED to excel. HOW DO I HELP YOUR STUDENT-ATHLETE GROW? By developing a strong, personal relationship with each athlete. I take the time to understand the way each athlete learns, their goals, what motivates them, what’s happening in school. They learn they can trust me and how I’m instructing them, and that’s how they learn to trust themselves and their athletic gifts. By responding to individual needs at every training session. While many training programs are rigidly structured, the Academy’s is more free-flowing, enabling us to immediately respond to deficiencies and opportunities as they occur. By going the extra mile. I have developed valuable relationship with college coaches and will contact a coach directly to let them know about my students.